Today Crystal from a Pumpkin & A Princess is sharing a Mother’s Day gift idea that you can make in no time. 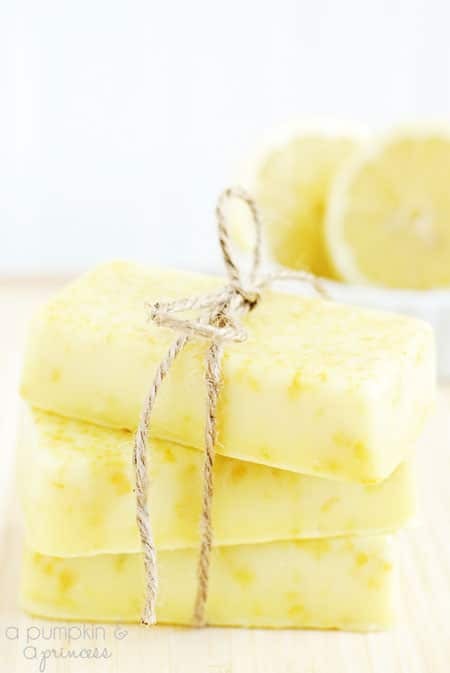 It’s a homemade bath salts recipe that’s infused with lemon and rosemary scents. 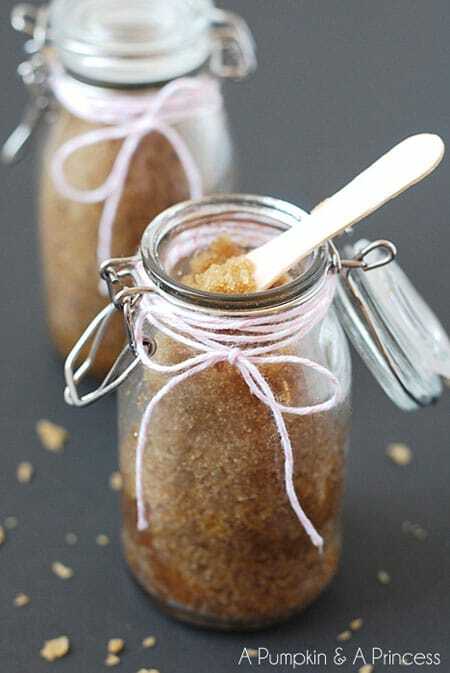 This recipe for homemade citrus bath salts is easy to make and makes a wonderful gift to help mom relax. I have several fabulous guests that will be taking the reins here on TidyMom periodically over the next month or so while we are packing and moving to our new house! Hi TidyMom readers, I’m Crystal from A Pumpkin & A Princess. Cheryl always has the most beautiful pictures and inspiring recipes, so it’s an honor to be here today! With Mother’s Day right around the corner I’m excited to share a quick and easy gift idea with you. 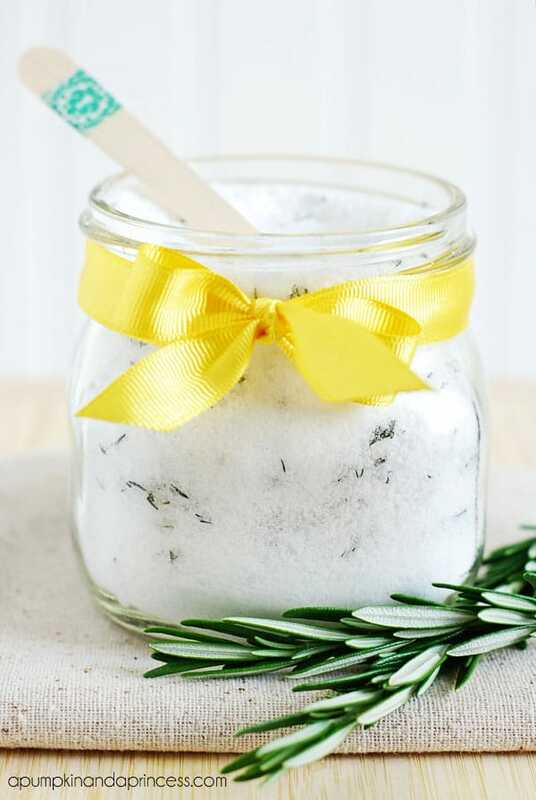 This lemon rosemary bath salt recipe smells delightful and make a great gift for mom. Click here to PIN this gift idea! If you’ve ever visited A Pumpkin & A Princess before you might have noticed that I love making soaps, scrubs, and bath salts so naturally I wanted to share one of my favorites with you! 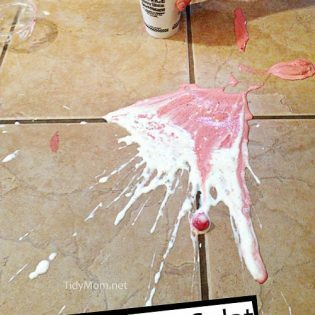 In a bowl combine epsom salt and baking soda. Add in half of the essential oil drops, mix, then add in the remaining drops. Mix in the chopped rosemary and lemon zest if you decide to use it until fully combined. Store in an airtight container. 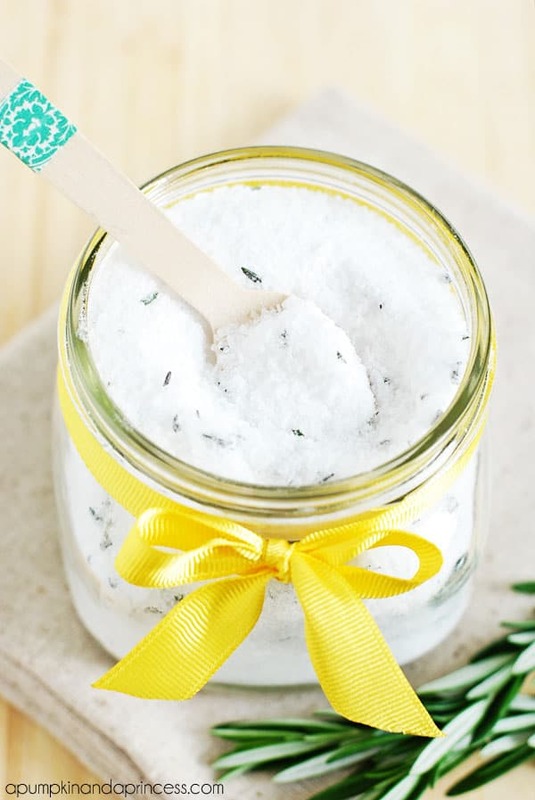 This bath salt recipe makes a lovely gift for mom, teachers, shower gifts or for house guests that may be visiting this Summer. 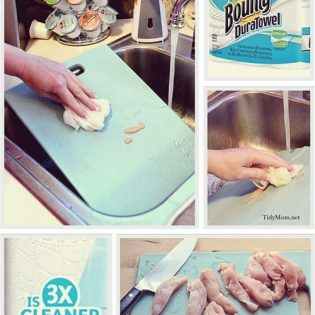 It’s also really inexpensive to make and smells wonderful! Thanks for having me, I hope you’ll stop by sometime and say hi! Crystal is a mom, wife, and blogger who loves to create. 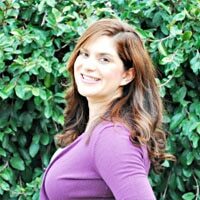 She enjoys sharing inexpensive craft, home decor, sewing, recipes, and DIY project tutorials. Wonderful gift idea! I bet it smells heavenly! What a perfect mother’s day gift~! I bet that smells amazing! I love Crystal, she has so much fabulous-ness to share on the web! What a great gift idea! love the idea of homemade bath salts! I bet this smells absolutely amazing! Love the idea of homemade salts. That must smell amazing! What a nice gift. 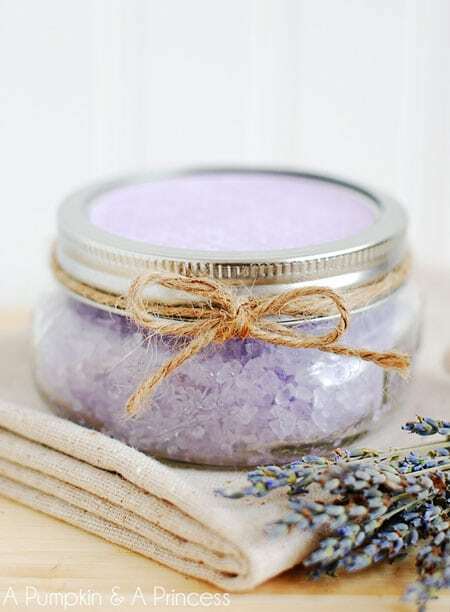 I love the idea of homemade bath salts – what a thoughtful gift! this looks incredible. love the flavor combo too! Makes me wish I took more baths. I love this! I am in my kitchen now about to make it! I can’t wait to give these as gifts! How long will it last?? Wonderful!! How long does it last?? How much do you use for a bath?